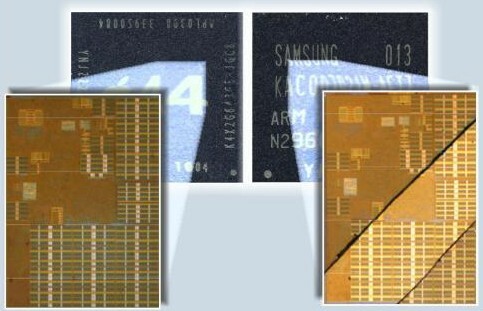 Samsung just pulled the veil from its dual-core Orion low-power chip, based on ARM Cortex A9 designs. It’s powerful, impressive. It may also be the secret behind Apple’s next iPad/iPhone CPU. 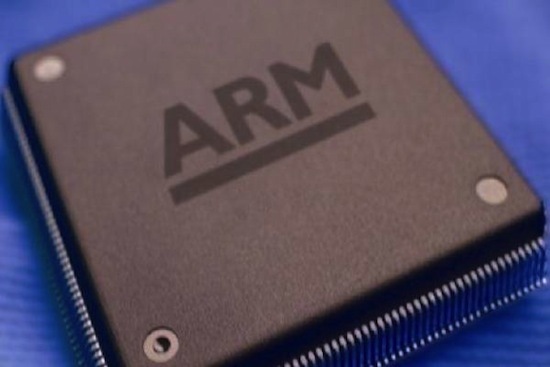 Apple’s decision to supply its own ARM-based CPU chip for the iPad was novel, even while it was not necessarily surprising given Apple’s preceding acquisition of ARM-expert companies. With hindsight, it was a masterstroke (and as we’ve noted, Apple’s since hinged huge percentages of its income on that little sliver of silicon, plopping it in the iPhone 4, iPod Touch, and Apple TV): It’s powerful, creates economies of scale in all sorts of ways, and places control of a vital element of its hardware in Apple’s own hands. But the chip is actually made by Samsung since Apple has no chip foundries of its own, and the design–while based on ARM references–was definitely informed by Samsung’s own expertise. That’s not to say the A4 isn’t a smart piece of custom design all by itself, however. Now Samsung’s revealed Orion: It’s based on ARM’s Cortex A9 reference design, sporting dual cores each running at 1GHz, and it’s powerful enough to handle full HD 1080p video encoding and decoding at 30 frames a second. It’s unquestionably a model for the next generation of low power-consuming CPUs inside smartphones and slate PCs–the 1080p part is a clear sign of that since it’ll also boost the ability of these devices to take full-resolution HD video with their increasingly powerful cameras. Those twin cores will also enable truly powerful 3-D graphics rendering powers, ready to take smartphone/tablet gaming to a point where it can almost compete with (entry level) desktop PCs. Are you listening, Blizzard? It’s also got integrated GPS, and on-chip HDMI 1.3a circuitry. But knowing that the A4 is an ARM Cortex A8 model, based on super-customized Samsung designs, we can use it as a touchstone for the Apple A5 chip–the chip that’s surely in-bound in next-year’s iPad, iPhone and so on. Because Apple is certainly busy finalizing the chip right now, so it’s ready in time. It’s unlikely to be as closely-matched as the A5 and Samsung S5 because Apple has had a whole year to build on the A4’s foundation, including incorporating more expertise from its acquired talent. Plus the A5 (or A8? A9?) will be optimized specifically to meet Apple’s own stringent requirements for its next-gen devices, which at this point are secret to Apple itself. Given the arrival of the A4-sporting Apple TV and the impressive graphics of Epic Games’ Epic Citadel demo running on the iPhone 4, no doubt the next Apple chip will have developers falling over themselves with excitement at the apps that’ll be enabled.